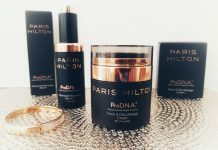 In the fall and winter, I look for a daily moisturizer that hydrates my skin and provides protection from the elements. 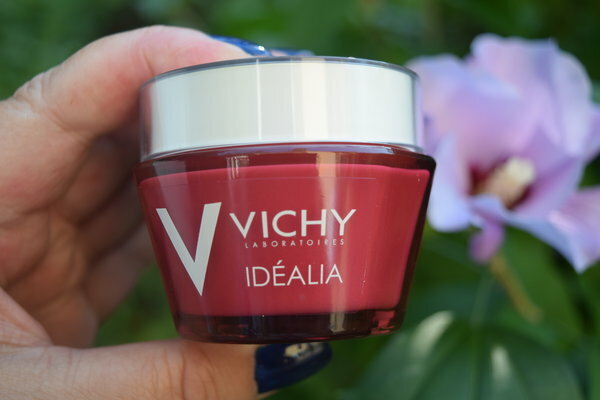 I was pleased to find that Vichy Idealia Smoothness and Glow Energizing Cream for dry skin provides enough hydration to keep my skin feeling smooth. 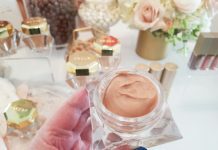 The cream has a light, pleasing fragrance and great silky texture – the application on my face is very smoother. Like all Vichy skincare products, the cream contains no parabens. Vichy Smoothness and Glow Energizing Cream retails for $45. 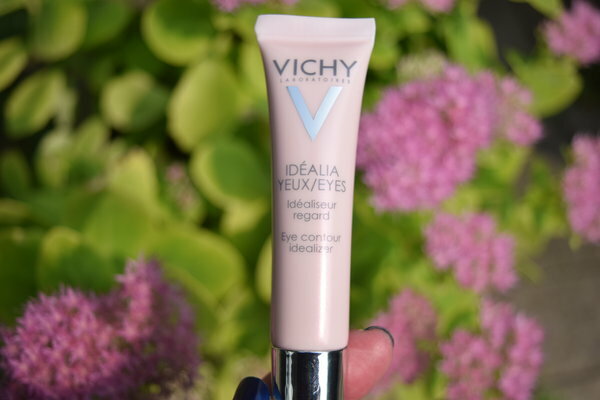 I really like Vichy’s Idealia Radiance Boosting Antioxidant Serum for warmer days when I don’t want to wear a heavier moisturizer, but still want something light to hydrate my skin. Although this serum is light, it still nourishes my skin. Plus it reduces large pores, which is a problem I have. I have actually put this serum on before bed when I want light hydration. You can also wear the serum underneath Vichy’s Smoothness and Glow Energizing Cream for extra protection during the winter. Idealia Radiance Boosting Antioxidant Serum retails for $49.95. I seem to need to exfoliate my skin often and usually apply a mask every two weeks. That’s why I like Vichy’s Idealia Peeling: it’s a gentle way to remove dead skin, especially for sensitive skin like mine. Vichy Idealia Peeling does contain Glycolic Acid to remove dead skin cells. 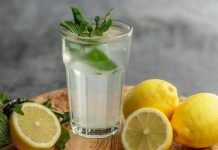 It also contains Fermented Black Tea Extract, which is known for maintaining skin’s moisture and elasticity and evening skin tone. You just apply Idealia Peeling at night before your night cream and let it do the work overnight. I found that after using it for a few days, my skin was much smoother and more even. Vichy Idealia Peeling retails for $39.99. I don’t know about you, but for me, my eyes are the tell-tale signs of whether I’m feeling rested or tired. I get dark circles under my eyes when I haven’t had enough sleep. Idealia Eyes Eye Contour Idealizer is great for restoring that sparkle to your eyes by removing dark circles. It’s also a woman’s best friend in that it plumps up fine lines around the eyes. Our giveaway of Vichy Day Cream and Peeling, value $85, is now closed. Giveaway closes Sept. 29, 2017. I love the cooler air and leaves crunching during walks in the park. I love the fall fashion and the cool breeze in the air. fall is my favourite season. I love when the temperatures get a bit cooler so that I can put on a sweater or blanket to stay warm. I love the colours of nature. I adore the taste of fall, too (apples, pumpkins, spice). My favorite thing about fall is soup. I love the changing colors and walking through crunchy leaves. I love the colours and the cool weather, we have beautiful trails behind our house that are incredible in the fall. I love the bush trail walks. It is so gorgeous with all the beautiful colours and the crisp fresh air. I love the change of colours in the fall and the crisp air. I love the glorious colours of fall and hearing the leaves crunch under your feet. I like the temperatures that are just right, the colour changing leaves! I love the cooler weather, the routine that comes with back to school time and the cozy sweaters. Fall is my favorite season! End of the hot weather :). Thanks! I like seeing the leaves change colour and I like the fall scented candles. I love the crisp air, no bugs and vibrant colours of the maple leaves here in Nova Scotia, in the fall. I enjoy going apple picking with my kids in the fall. I love the fun of jumping and playing in the leaves with my little one! The cooler temperatures, Thanksgiving, my birthday and pumpkin pie. I love the crisp air of autumn, Halloween and Thanksgiving. I love the cool mornings that wake you up! I like the tree colors. I love going apple picking with my family and walks with my husband. The fall colors are always so beautiful. That the harvest is finally here so the food tastes as good as it ever will. I love the rich colours of fall. I love the colour change, sweaters & boots and the sound of leaves crunching under my feet. I like fall clothes, new makeup & skincare & everything pumpkin spice. I like feeling the crispness in the air and the changing colours. I like the cooler weather for getting outside for a walk or hike and it is blueberry picking time. I like all the fall colours . The beautiful colour of the leaves and the fact that it’s cooler. The colour of the trees & leaves as they fall from the trees. Ummmm, not much. I pine for summer. I love the colours – the changing of the leaves. I do not enjoy the cool air that comes with fall which means that it is time to put away my summer home.! I love the harvest. Just picked up fresh apples today from a Farmer’s Market. I like colorful trees, holidays & harvest! I like the colour of the trees and the fragrant crisp air. I like fall’s cool air and the pretty colours of the changing leaves. I like the changing landscape and eating Apple Crisps, Apple Pies, and everything Apple! I live the pretty fall colours as the trees start changing. And it’s a beautiful time of year to get outside more with my doggy. I love the leaves changing colors in the fall and cooler weather! This is very unoriginal, but the best part of the fall for me is definitely pumpkin spice flavoured everything! I love watching the changing colours of the leaves in the fall. Fall is my favorite time of year! The leaves are turning beautiful colors! The air is cooler. The markets are full of fall produce. The mum flowers blooming. Outside my window I watch the squirrels playing in the nut tree while the leaves are falling. I like to see the leaves reach their full fall colours. I love the fall weather and the fall fashion! I like the cooler air without being too cold or hot. I love the fall colours and the comfortable weather. I do already miss summer but enjoy this time of the year! I love sweaters and the fall means I get to start wearing them again. I love everything about fall! The only thing not to love is that it’s too short! I love the colours of trees in Autumn. I love all the beautiful colors of fall,such a pretty time of the year! I like the cooler crisp weather and the colour change of the leaves. Fall is my favorite season. I love the colors, cool air, pumpkin spice everything, hot apple cider, sweaters and Halloween! I actually enjoy the cooler weather and the turning colours of the leaves. Also two of my fave holidays are in the fall Thanksgiving and Halloween. I love the changing colours of the trees! I love the fall colours, the nip in the air, fewer bugs and fall harvest! I love the cooler weather from summer and not so cold weather from winter. I love the colours of the changing leaves especially in the Haliburton Highlands…breathtaking! I love the colours, it is my favourite time to travel, less busy than summer. I love the changing of the colors! I like the Fall Fashions in clothings. I love the weather, a bit cool but not too cold. I love the changing of the leaves. I love the Fall colours and fashions; chunky knit sweaters are my favourite. I like Fall’s smell, the crisp freshness in the air. I love the change of colour, the crisp air . The cooler evenings are lovely!